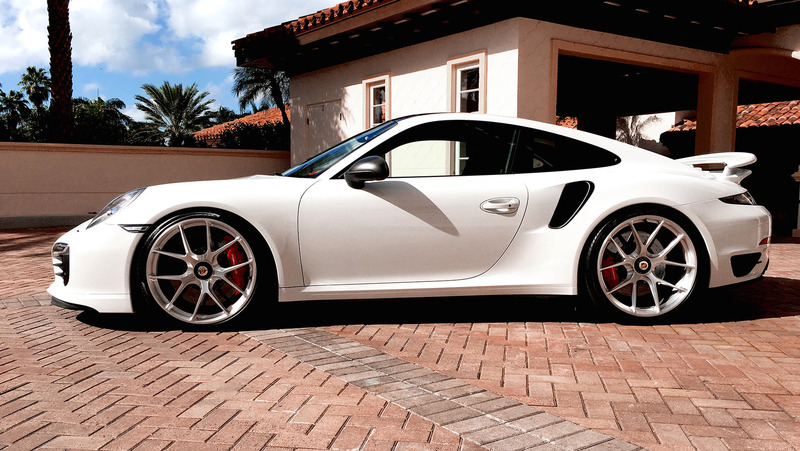 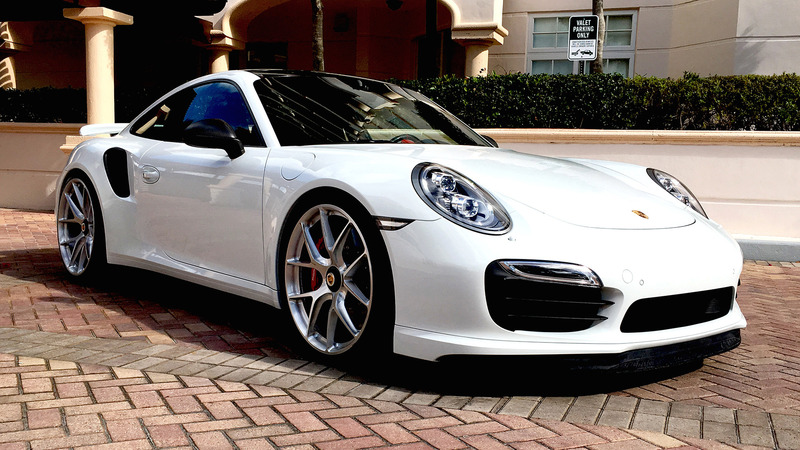 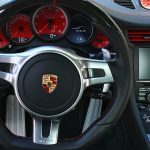 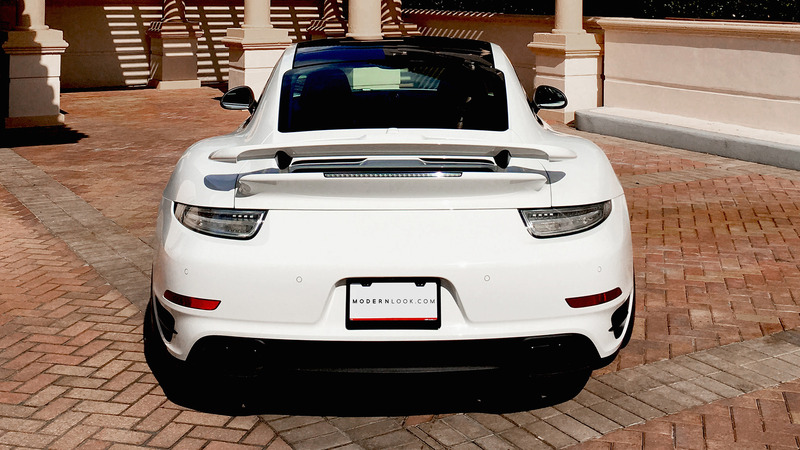 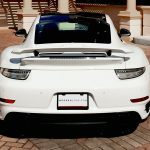 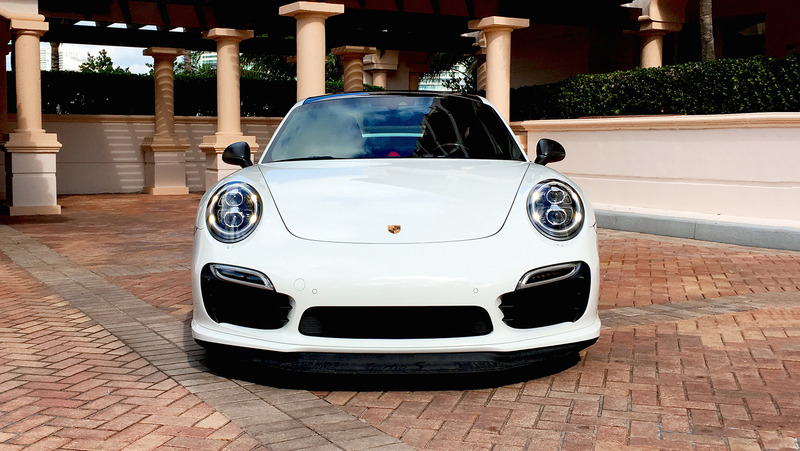 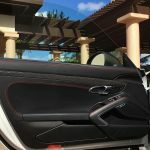 In case you`re into Porsche sports cars, newer or older, let`s say a 2015 911 Turbo S, then you could spend around $150,000 for a pristine one presently available on Modernlook. 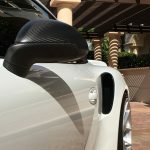 The model is displayed below in the media gallery released by Modernlook and is currently looking for a new owner that would continue taking care of it as it is in the present state. 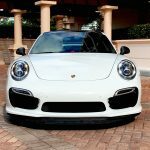 Visually, the model looks extremely hot with the new body parts received from TechArt, meaning a new set of carbon fiber air intakes and mirrors, black exhaust tips as well as the new lowering springs, which lower the car`s ride height for improved stance and increase driving capabilities. 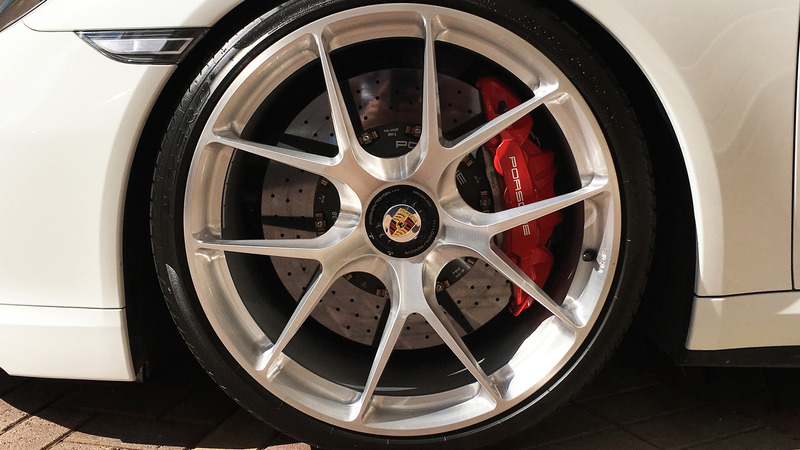 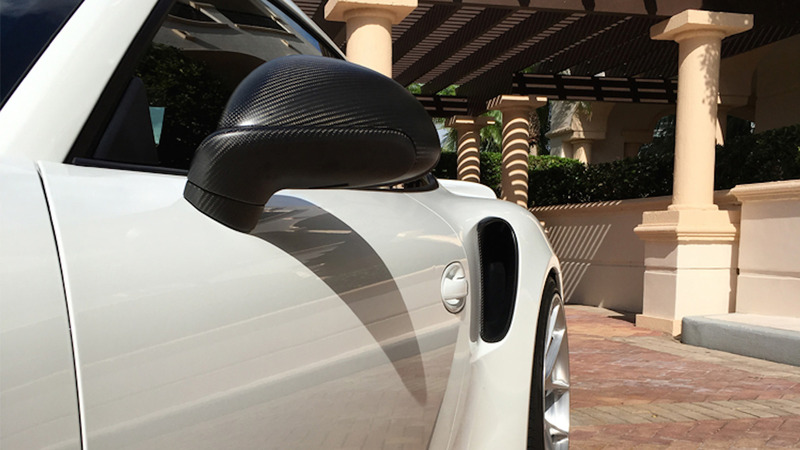 The car`s Pearl White exterior wrap comes handy with the new 20-inch HRE Monoblock with center-locking system, adding a more aggressive look. 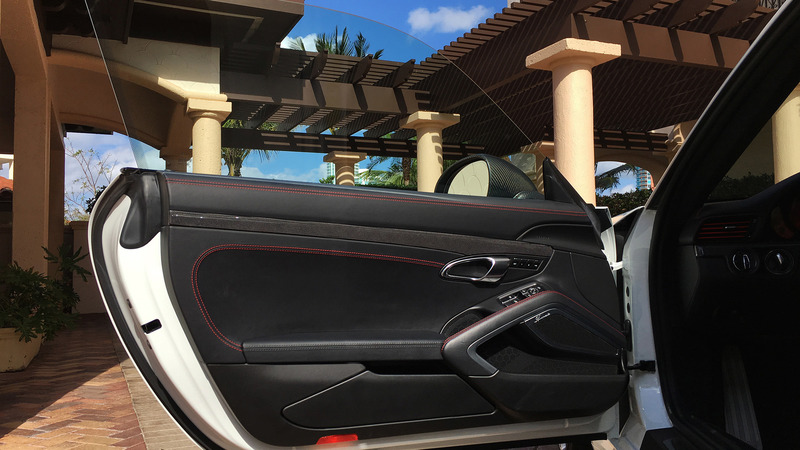 As for the interior, the cabin is also tweaked with new upholstery, two-tone black and leather finish with carbon fiber accents. 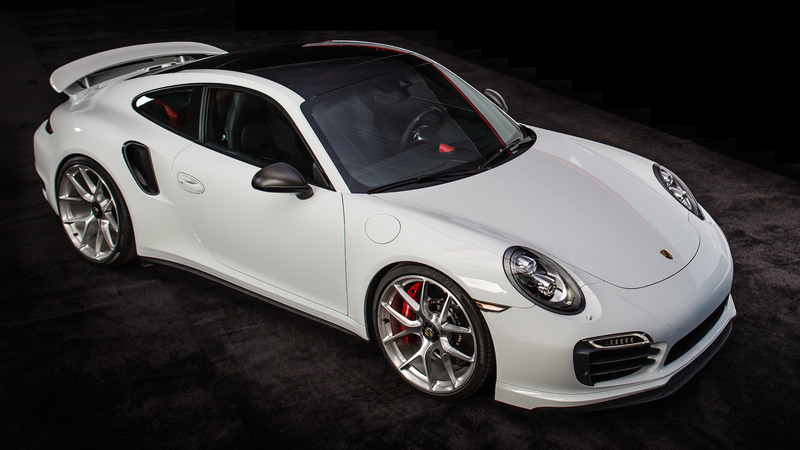 Coming with just 9,403 km on-board, this 2015 Porsche 911 Turbo S is extremely powerful under the hood as well, packing a 3.8-liter biturbo flat-six engine, with 580 horsepower and 749 Nm of torque. 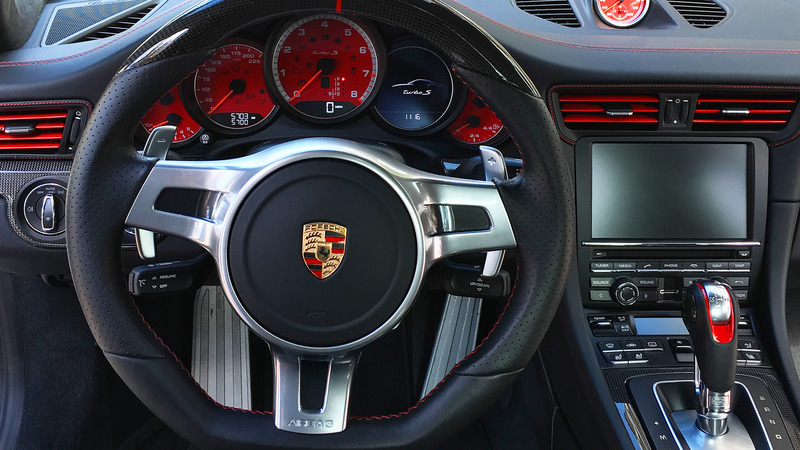 This allows a sprint from 0 to 100 km/h in a mind-blowing 2.8 seconds, thanks to the new PDK transmission. 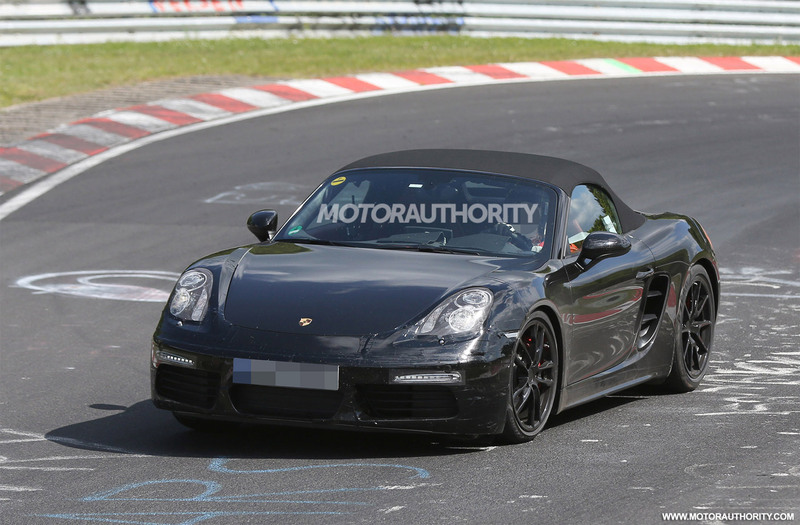 The top speed is also set at 321 km/h. 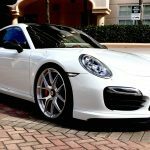 As for the price, in my humble opinion, the $150,000 price tag is a real bargain, considering the plethora of styling bits, custom-built interior and sheer performance under the hood. I personally choose it instead of the brand-new 2017 911 Turbo S, which costs around $188,100.